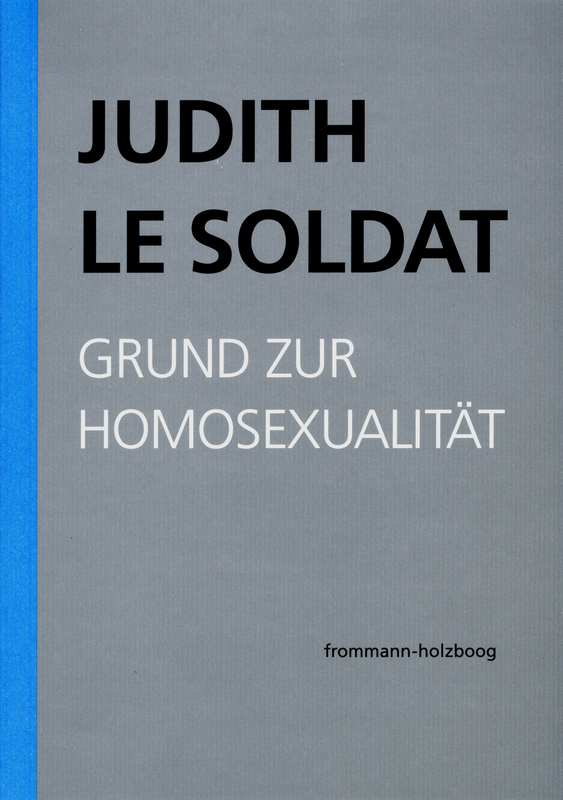 Judith Le Soldat’s (1947–2008) contribution to the development of psychoanalytical theory engages the radical reinvention of the classical Oedipus complex and, in its wake, a new psychoanalytical theory of homosexuality. The works, to be published in five volumes with editorial comments and index, will make accessible the closely interwoven conceptual fabric of Le Soldat’s writings. The project comprises first editions of two volumes on homosexuality, re-editions of the out-of-print monographs of 1989 and 1994 and a volume of collected articles published in a variety of journals. A thorough revision of the psychoanalytical theory of the Oedipus complex. (Reprint of ›Eine Theorie menschlichen Unglücks‹, Frankfurt am Main 1994). Ca. 520 p., 1 ill.
Gesammelte Aufsätze und Artikel 1983–2001. Neu herausgegeben von der Judith Le Soldat-Stiftung.